This 7 Panel InstaCube Oral Fluid Drug Test, which also tests Alcohol gives you a semi-comprehensive version of the 12 panel test. The less invasive saliva drug test provides superior accuracy with a dependability rating of 99%. Every test displays lucid and crisp lines, so that there is no chance of errors in reading. 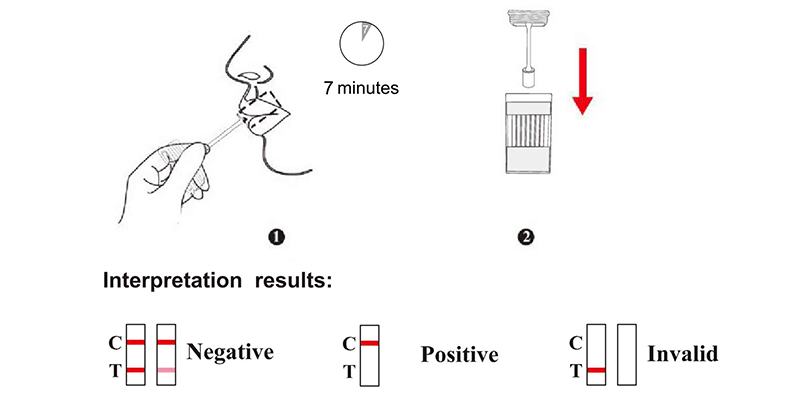 This saliva swab does away with the need to monitor subjects in the restroom, and can be administered in any location. The 7 panel design covers most commonly abused drugs and the ability to test without privacy issues, so adulteration is nearly impossible.